The unleavened bread that we eat at Passover and for seven days afterwards can also be seen as the bread of life! This traditional prayer (HaLachma Anya), written in Aramaic, kicks off the Passover seder and the recounting of the exodus from Egypt. 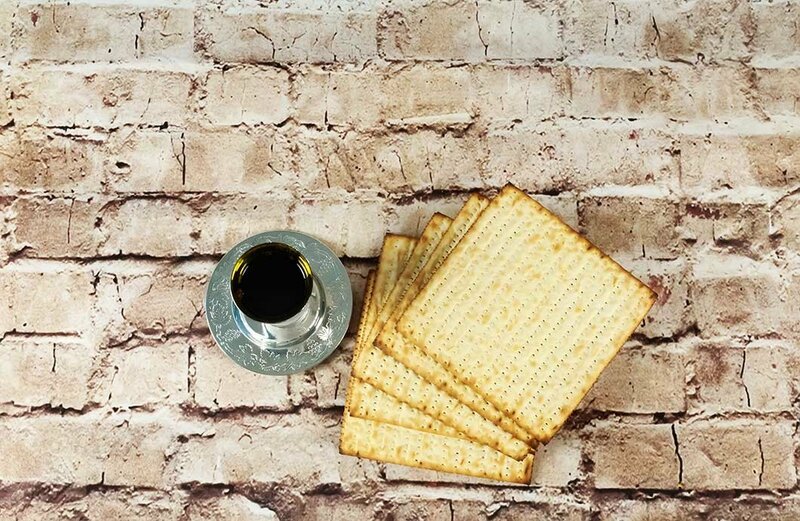 This prayer concerning the matzah is blatantly messianic in nature, especially when viewed through the lens of the Master’s words in the Gospel of John, and it further underscores the beautiful redemptive nature of this Passover holiday, which offers satiating bread to all who desire to eat it. This invitation to the hungry and the needy makes the reader recall the bold declaration of our Messiah: “I am the bread of life; whoever comes to me shall not hunger” (John 6:35 ESV). Yeshua said this around the time of Passover, for the sixth chapter of John clearly tells us, “Now the Passover, the feast of the Jews, was at hand” and it proceeds to be a chapter that has bread as its reoccurring theme. It recounts how Yeshua performed the miracle of feeding the five thousand with five loaves (and two fish). Later on in the chapter, closer to the time of Passover—if not actually during Passover—Yeshua makes large claims of being the “bread of life,” the “living bread,” the “bread from heaven,” the giver of bread, and the one who will resurrect on the last day those who believe in and partake of him. This chapter is filled with difficult sayings from the Master, and some who were with him that day even stumbled because of those statements, but we can now appreciate the symbolism and the veracity of his words. If we can imagine these sayings as being said at Passover, or right before, then maybe we can understand him a bit better. If we imagine this bread, with which he identifies, as the unleavened bread (matzah), then perhaps we might further understand the importance of partaking of this bread—his body—when we commemorate Yeshua’s death and resurrection. Jewish tradition notes that matzah is called the bread of affliction due to its unsavory flavor, and as a reminder of the affliction of our forefathers in Egypt. 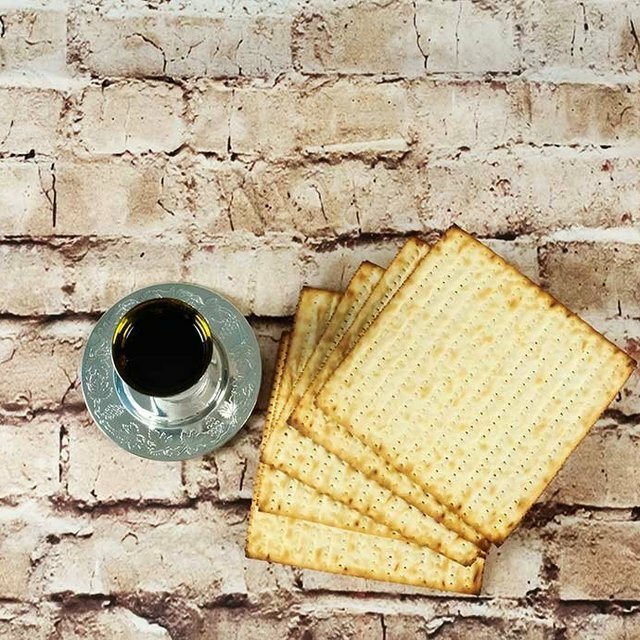 Messianic Jewish tradition has correctly noted the affliction that the matzah must go through—the punctures/piercings and the “stripes” upon it—is a reminder to us not only of our forefathers, but also and most especially about our Messiah and Redeemer. Thus we can see that if this bread that we are invited to eat at the beginning of the Passover meal will satiate the hungry and the needy, how much more so will the Master, who is the bread extended to all who are hungry and needy in the house of Israel and among the nations! For as he attests of himself, he is the perfect, all-satisfying bread who brings resurrection and eternal life. But this bread is the bread of affliction. Yeshua identifies with this bread directly years later at the last meal he eats with his disciples during Passover, the night before his death, when he tells them to eat this in remembrance of him. We do so even now, with varying frequency, and in so doing we remember his affliction, his sacrifice, and we take part in it in consuming the punctured and striped matzah. We claim a share in it, so to speak, and we declare its efficacy. Just as we share in his death and resurrection through immersion, we share in his affliction and the redemptive new covenant he heralds at Passover through eating the bread of affliction. This bread brings about more than just the cessation of physical hunger; according to the Master it brings something eternally satiating; it allows us to merit the resurrection and the World to Come. When eating this bread we “proclaim the Lord’s death until he comes” (1 Corinthians 11:26), honoring the greatest sacrifice that atones and initiates the start of a new order, a new covenant. This rite is weighty, and we accept upon ourselves the yoke of the cross—the yoke of the kingdom of heaven—and the kingship of the Holy One when we eat. In partaking of this bread we metaphorically pick up our crosses along with the Messiah and share in his affliction, remembering his death and resurrection, and we proclaim its significance and power until the time of his return. It is no wonder that Paul warns believers not to partake with flippancy or in an unworthy manner, for in doing so, he says, we would be eating and drinking judgment on ourselves (1 Corinthians 11:29). We would not be sharing in the Master’s affliction, but rather adding our own affliction to ourselves. As we eat the afflicting matzah and drink the wine this Passover, let us not forget the affliction of the Master, and let us thoroughly search our hearts before doing so. Partaking of this bread is extraordinary, and while it has no magical properties in and of itself, it represents our Messiah, the torture he endured on our behalf, and the redemption he brings. This affliction we commemorate has inaugurated the coming of the ultimate redemption. May we see this redemption completed, coming to the house of Israel and then the entire world speedily and soon!